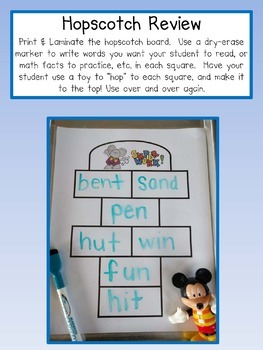 Hopscotch is fun practice for young learners. Print & Laminate the hopscotch board. Use a dry-erase marker to write words you want your student to read, or math facts to practice, etc. in each square. Have your student use a toy to “hop” to each square, and make it to the top! Use over and over again.